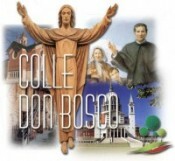 Who is St. John Bosco (or “Don Bosco”)? John Bosco was born on 16 August 1815 in the small hamlet belonging to Castelnuovo d’Asti, in Piedmont, popularly called “i Becchi”. His father’s death when he was only 1 ½ helped him empathize with the sorrow of so many orphans for whom he would become a loving father. In his mother Margaret he found an example of a model Christian, which made a deep impression on his soul. When he was nine years old, he had a dream that was prophetic. He seemed to be in the middle of a crowd of children at play, some of whom were using God’s name in vain and fighting. Young John threw himself at them, hitting and kicking them to stop blaspheming. But a man appeared before him who said: “Not that way, John – you must win over these friends of yours with kindness and love. …I shall give you a Teacher under whose guidance you will be able to become wise, and without whom all wisdom becomes nonsense”. That person was Jesus and the Teacher, the Virgin Mary, under whose guidance he placed his whole life and whom he honored with the title “Mary, Help of Christians”. This led John to learn to be an acrobat, a magician, a singer and a juggler so as to be able to attract the neighboring children and adults to his gatherings at which the recitation of the rosary and the explanation of Sunday’s homily and the Commandments were his way to help keep them far from sin. Wishing to become a priest and to dedicate himself entirely to the salvation of young people, he would work by day and spend the nights at his books. Finally at the age of twenty, he was able to enter the Seminary in Chieri and be ordained a priest in Turin in 1841, at the age of twenty-six. There he established his work among orphaned or abandoned boys and young adults who were looking for work and were exposed to many dangers to both body and soul. 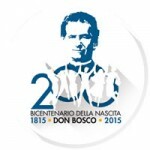 Don Bosco started to gather them together on Sundays, sometimes in a Church, out on a grassy meadow, or in a town square, letting them play and then instructing them in the Catechism. After five years of enormous difficulties he managed to establish and open his first Oratory in the outlying suburb of Valdocco. There the boys found food and a place to sleep. They would study or learn a trade, but above all they learned to love the Lord. To do this, he created the “Preventive System” of education which employs “Reason, Religion, and Loving-kindness” in all dealings with the young, thus gaining him their hearts. He enkindled in his boys three devotions: to Jesus in the Blessed Sacrament, to Mary Help of Christians, and to the Pope. Saint Dominic Savio was a shining example of one who lived these to an eminent degree. To spread devotion to Mary Help of Christians and to provide a source of prayerful support for his Sons and Daughters’ Mission among the young, he also founded the Association of the Devotees of Mary Help of Christians (ADMA – the Association of Mary Help of Christians). He died on 31 January 1888, in his simple room at Valdocco, at the age of 72. On Easter Sunday, April 1, 1934, Pope Pius XI proclaimed him a Saint.